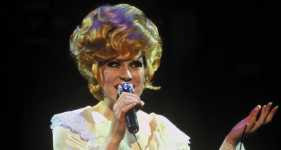 Towering and lovely, Dusty Springfield fell in love with Motown in the early sixties and went on to hugely blooming interpretations of songs by the likes of Burt Bacharach and Carole King. Her massive hit of the period was of course "Son of a Preacher Man." After a long fallow period spent in what sounds like obsessive self-doubt, she reemerged in the '80s at the urging of Elton John and Neil Tennant, to new and reinvigorated renown.